When I arrived at Reading Terminal Market this morning, a few short minutes before it opened, there were lines. Lines. At every door. Apparently the Wednesday before Thanksgiving is the "Black Friday of food." I woke up early so I could pick up my turkey (an organic pastured bird from Lancaster Farm Fresh Co-op), and get it out to my aunt's house on the Main Line before work. This was a process: get my car, find parking adjacent to the RTM madhouse (I knew I wouldn't make it very far with my 23 lb. haul) and then brave the morning rush at Fair Food. I was one of the first few people to get my turkey ticket—once you check in, they send someone for your fowl—and, as I paid (a lot; $4.50 per pound), I quipped to Farmstand employee (and occasional Grid photographer) Albert Yee, "I don't know if I love my family this much." As I waddled across 12th Street with the fresh, beautiful, hefty bird cradled in my arms, I knew it was worth it. And it's not about the cost; it's about the effort. In the end, that's what sustainable living is all about—extra effort. It was worth forethought, an hour of sleep and some fraught moments on I-76 during rush hour to bring this beautiful bird to our table. 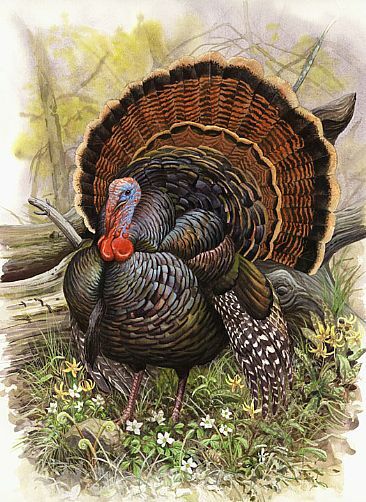 I am so happy that my family will celebrate our favorite holiday over an animal that gobble-gobbled on grass and foraged for food, living like a turkey is meant to live. I also can't wait to see how it tastes.